New music you will love to perform and your audience will love to hear. Choose it today and rehearse it tomorrow ! 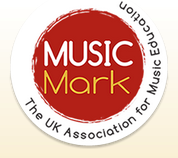 The perfect start for beginners in whole class instrumental programmes as well as early instrumental lessons. The Young Instrumentalist is built around songs to sing and then play, with differentiated parts, supported by a lively backing track. ‘We have enjoyed your Excalibur. The combination of rhythmic drive and noble thematic lines makes for a terrifically satisfying piece.’ Peter Ellefson and the Northwestern University USA trombone choir. I WISH I HAD GONE INTO TEACHING. I DID SUB A LITTLE AND IT WAS REWARDING FOR BOTH THE STUDENTS AND MYSELF. WHY? I taught from a musician’s point of view, not out of the book. We did follow the guidelines, but… It did not offer ear training; something that is most important in a singer or musician’s growth. I had them in my hands and taught from a professional’s point of view. If I retire from the Post Office, I will definately go back to teaching.